This AiroGen® range of Hydrogen Generators from IATT use the latest Proton Exchange Membrane (PEM) technology to produce pure hydrogen from distilled or deionised water by hydrolysis. They are ideal for supplying hydrogen fuel gas to all known combustion detectors used routinely in GC and THA. Eliminates inconvenient and dangerous hydrogen cylinders from the laboratory. Increases the accuracy of analyses and reduces the cleaning requirement of the detector. Unique 9 stage, fail safe, explosion protection system. Automatic internal/external H2 leak detection. H2 Sensor option for carrier gas use. 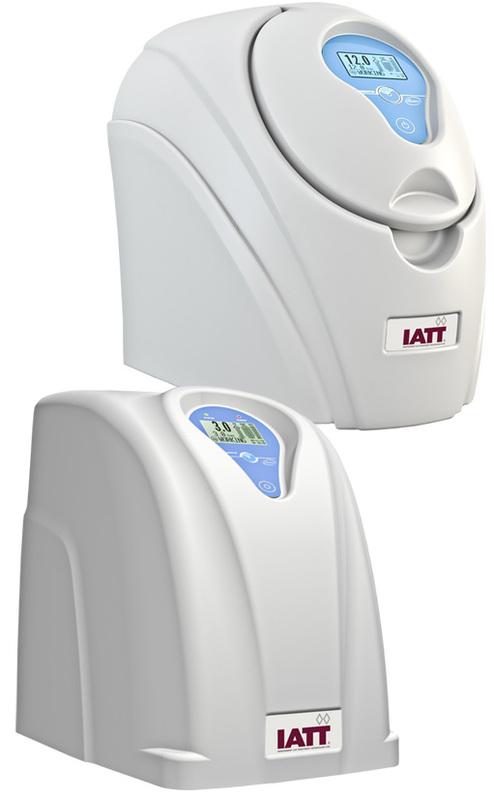 LCD touch screen showing in real time H2 pressure, H2 flow rate, desiccant cartridge saturation %, water quality, water level and status of the system with alarms and auto diagnostics. Continuous monitoring of vital parameters. Unique PEM cell construction and water quality management ensure reliability and longevity of the cell.